This new Dyersburg area Hud foreclosure was just listed by Wendell Alexander. This house is located at 266 Copeland which is off Newbern Roellen road. There is 1126'+/- of heated and cooled area and this was built in 1972. 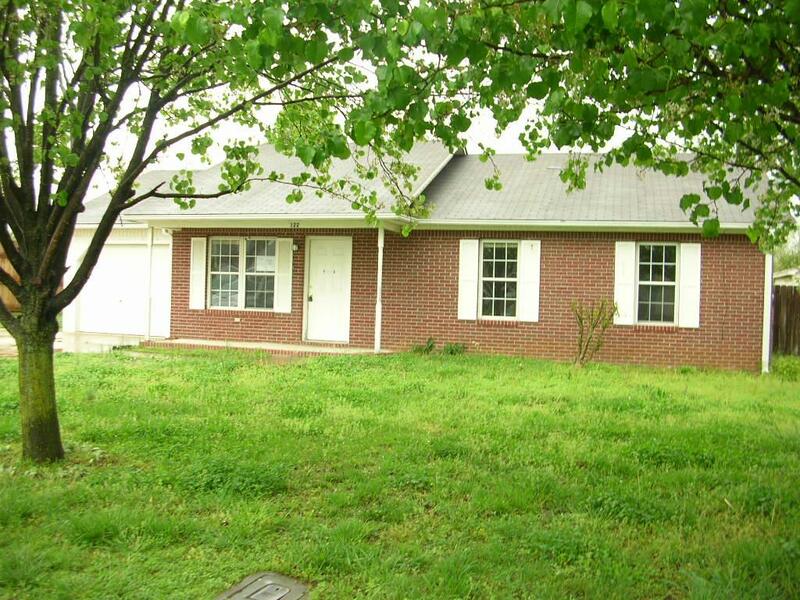 This brick 3 bedroom 1 bath home is priced to sell at $35,000. Call or text Mike at 731-589-7841 to view and purchase this house. A couple of days ago a guy called me and said he has been following my Dyersburg foreclosures blog but wasn't sure if I was still active with it. Let me assure everyone reading this that I am still on top of Dyersburg area foreclosures and will continue to share them with you here. If you are new to this site, please check out the buttons over on the right side as that is where you will find most of the foreclosures here in our area. Yesterday I showed the Hud foreclosure(look under HUD button over on the right side) on Charles Moore Road and at $51,000 that is a good deal especially for the first time buyer. Please feel free to contact me like the guy did a couple of days ago. I am now helping him find a foreclosure. My direct number is 731-589-7841. There is a new Dyersburg rental property hud foreclosure that has been listed almost 2 weeks now. It is a brick 2 bedroom 1 bath duplex located at 101 Crawford Street. This duplex was built in 1965 and was previously purchased in 2007 for $72,575. The current tax appraisal is $69,000 which reflects that some repairs are needed. Currently the bid period is for owner occupants and if you are getting a FHA 203K loan, repair money of $1650 is available as part of the deal. If you are an investor, you should be able to bid on this property in a few days. This is a HUD foreclosure so you can see additional information under the HUD foreclosure button over on the right side. I am a certified HUD realtor so please call me to look and bid before this one is gone. My direct number is 731-589-7841. 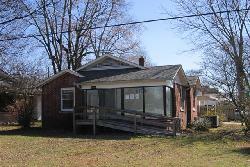 Here is a new Dyersburg bank foreclosure located at 1875 Ridge Street. This 3 bedroom 1 bath brick home has a carport, central heat and air and a nice fenced in back yard. 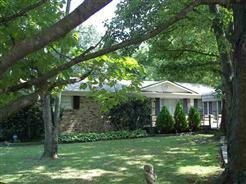 The price of this Dyersburg foreclosure is currently $45,000. This home is located very close to the Dyersburg primary school(kids could walk down the hill and be at school) but you have to drive through part of milltown to get to this home. This is currently listed by Mr. Lankford but I would be happy to show and sell you this home. My direct number is 731-589-7841. 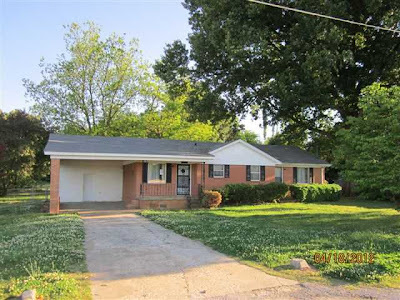 Have you ever wondered how you would buy a Dyersburg HUD foreclosure on a long term loan if the house needs work? There is a loan product out there called a FHA 203k loan that will allow you to escrow the money for repairs that HUD has set aside for that particular house. You would close on the sale of the house and then begin the repairs. If you will click on the Hud foreclosures link over on the right side 4-5 properties will pop up(today is Friday August 10, 2012). Looking at the property at 665 Andrea it says that the repairs escrow is $3850. HUD will give you that repair money if you are the winning bidder and you purchase the house using a FHA 203k loan. If you pay cash or use any other mortgage loan they will not give you this repair money. Currently no Dyersburg bank or Dyersburg lender has this mortgage loan available but we have an out of town lender that can do this special loans. We just closed on a HUD foreclosure on Powell Road in Roellen and have an accepted offer on a HUD foreclosure at 2010 Beasley Road in Newbern(they are doing a FHA 203k). As you can see we have lots of experience selling Hud foreclosures! Call Mike at 731-589-7841 to look at any Dyersburg area foreclosure and let me help you to negotiate to purchase your next home. can be seen by clicking on the Fannie Mae link over on the right. To view and purchase either of these homes please contact Mike Frazier at 731-589-7841. Both of these homes can only be purchased by owner occupants for the next 15 days then investors can purchase. In my last post I discussed a Dyersburg Fannie Mae foreclosure that was listed for $51,000. It is now under contract. There were 3 different bidders with the one at $53,000 the winning bid. I wrote the next highest offer which was a little over the list price. I noticed that there is a new Dyersburg area Fannie Mae foreclosure coming up on 601 Nora Drive. As soon as I have the price I will bring it to you here. There is a new Dyersburg area Fannie Mae foreclosure at 41 Emerson Lane just 2-3 miles from Dyersburg. This is listed as a 2 bedroom 3 bath home but when I went out today there are 3 rooms(Only couple with closets) that are suitable for bedrooms. There is really only 2.5 baths. This home is sitting on 3.6 acres and is a 2 story Jim Walter type home. I believe today is day 2 with about 13 days left before investors can bid on this property. Government agencies and owner occupants can bid right now. 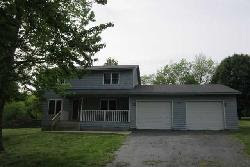 Call or text Mike(731-589-7841) to go look at this house and then to purchase this home. The listing information can be seen by clicking on the Fannie Mae button over on the right side. 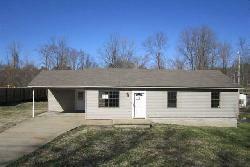 There is a new 3 bedroom 2 bath Dyersburg Fannie Mae foreclosure just listed. 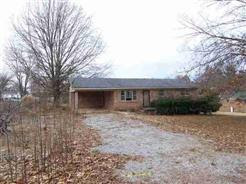 This brick home is listed for $72,000 and has about 1305' of heated and cooled area. The first 15 days are reserved for owner occupants only and then investors can bid. In my opinion, this home should be purchased by an owner/occupant. The address is 122 village Street which is off Jenkinsville Jamestown road. This property is not in the city limits but is on city sewer. More information can be seen by clicking on the Fannie Mae button. Call or text Mike today at 731-589-7841 to view then purchase this home. There is a new Dyersburg area foreclosure located at 90 Pin Oak Drive which is in a subdivision off Lanesferry Highway about 3-4 miles outside Dyersburg. This is a 3 bedroom 1 bath house built in 1998. The county has it appraised at $72,100 and the owner that lost it paid $59,000 for the house. The list price is now $45,900 and here is a link to the listing. Call or text Mike at 731-589-7841 to view then purchase this house. 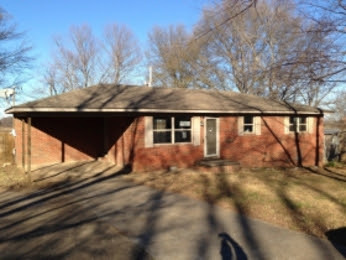 Today is February 24, 2012 and there is a new Dyersburg Fannie Mae foreclosure just listed by Lankford.It is a 3 bedroom 2 bath brick home located at 1105 Phillips Street in Dyersburg. 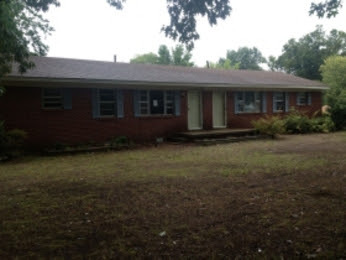 This Dyersburg foreclosure is listed for $37,000. Additional info can be seen by clicking on the Fannie Mae button over on the right side. The first couple of weeks bidding is reserved for owner occupants only. I am available to show you this property anytime and can also help you purchase it. Call or text Mike at 731-589-7841. 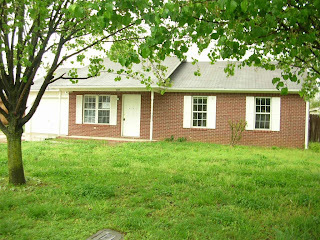 There is a new foreclosure listed and the address is 233 Vicki Street in Goodhope subdivision. Leon has it listed and he states that this house needs very few repairs. Priced at $39,900 this house should sell pretty quick. 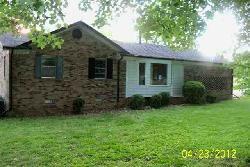 It is a 3 bedroom 1 bath brick house on a 90'x230' lot. Call or text Mike at 731-589-7841 to view and purchase this house. There are still more Dyersburg foreclosures coming.I just looked at my notebook and there are about 10 different properties slated to auction off on the Dyer County courthouse steps during the rest of January. Right now for February, there are only 6 recorded for auction but that number will probable triple by the end of January. That will complete the foreclosure process on those houses. If an investor does not purchase them(investors getting about 10% of them right now), they will very soon after auction date be assigned to a Realtor either in our area or from outside the area. I get calls everyday asking about houses coming up for auction and I am always glad to give out that information for free. Call or text Mike at 731-589-7841 for information or to view any foreclosures in the Dyersburg area. Today is Monday January 2, 2012. I am in the office working. I noticed lots of visitors on this Dyersburg foreclosures site yesterday and today and was reminded that many of you are still home for the holidays. Call me(Mike Frazier) today on my direct number 731-589-7841 if you want to discuss any of the dyersburg foreclosures you see here. Most of the foreclosures here are under the Fannie Mae foreclosure button over on the right side.